Use this box to recycle any flexible or rigid plastic packaging. 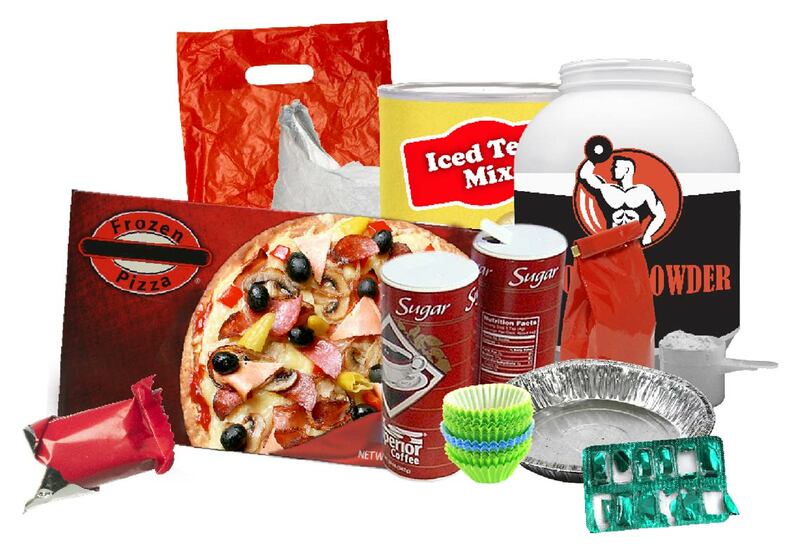 Please send us any type of packaging material such as food containers for infants, non-recyclable baking packing/muffin tins, ingredients packaging (such as packaging for flour, oil bottles and bags, food coloring, sprinkles, pastes, bread, naan, pita bread, bagels, buns). You can also send bubble wraps, padded envelopes, Styrofoam peanuts, air bags, pallet liners and covers, shrink wrap, cushioning, tissue paper packaging, foam sheets, foam planks, spices packaging, cereal bags, coffee bags made out of burlap, fresh seal bags. Any single serving packs (such as for mustard etc. ), plastic containers for food or condiments (such as containers for ketchup, hot sauce, cream cheese, peanut butter, jelly, honey, syrup, salad dressing etc. ), packaging for dried products (such as nuts, dried fruits and vegetables, granola etc.) egg cartons made from cardboard and styrofoam, energy bar wrappers, frozen food bags and packaging, pasta packaging with case and wrapping, frozen pizza packaging with the trays and protective sheaths, gum packaging, non recyclable packaging for instant foods like cup noodles and camping food, plastic bags for storage and shopping, freezer bags, grocery bags, ice bags, trash bags, meat packaging, packaging from meal take out and delivery, drink mix packaging, fruit and vegetable plastic bags, wrappers, ties, rubberbands, packaging for seasonings, and carry out plastic bags. include any food, we kindly ask that you remove all food contents of all food packaging before sending. Please note that we will not accept organics, broken glass, bio-medical waste, soiled nappies, expired medication, pesticides, paint, pressurised canisters, and medical sharps in any of our boxes. Please send traditional recyclables through your local council system.